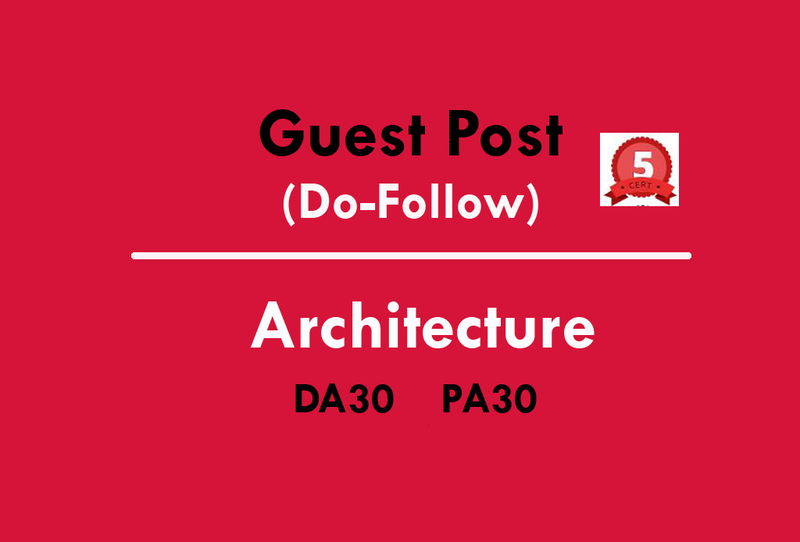 I have guest posting privilege on architect site. I will publish a post there with a do follow backlink to your website, using your anchor text. This is a very popular site with high Domain Authority, Trust Flow and vigorous editorial screening. So I'll publish the article professionally in a highly shareable style with one dofollow link to your site. 1. On this blog, Article topics related to Architecture and Interior design. A health related link for instance will certainly not fly on this site. 2. I can only link to pages with informational content, not homepages or pages with overtly commercial content (this ensures your link passes editorial review and the link juice will still flow well to the rest of your domain). 3. Your anchor text should not be promotional. If you're in doubt, consult me before you order. 4. I cannot accept sites in the following niches: gambling, dating, adult and pharmacy. Pleasure to work with Pradeep, great work!